I’ve been quiet for a while. (whispering) Working on my first chapter of the book I haven’t titled yet. But more on that in my next post. Today, please welcome Margot Kinberg! Margot Kinberg is a mystery novelist (she writes the Joel Williams series) and Associate Professor. 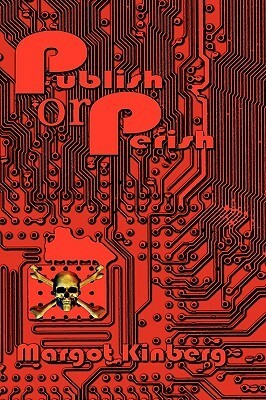 She has written four Joel Williams novels (Publish or Perish, B – Very Flat, Past Tense, and Downfall). She is also the editor of the charity anthology In a Word: Murder. Margot: Thanks very much for hosting me, Eileen! It’s a real privilege to be here. Eileen: Thank you! I’m excited to hear your opinions on various questions I’ve posed–-some on character building, others on dialogue. You’ll also be sharing some thoughts on telling a story, how to figure out the best point of view and when. Let’s begin. Do you follow a plan how to develop characters? Margot: I don’t have a set plan – that is, not an outline. But I do ask myself questions about characters as I write them. I write crime fiction; so, in my stories, there’s at least one murder, and at least one victim. I start with that person. 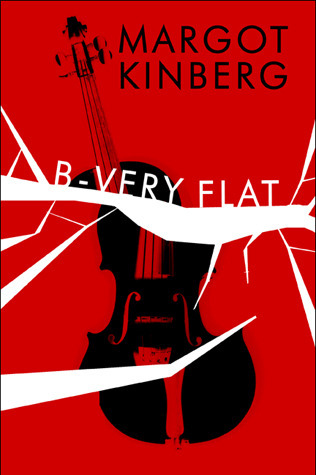 For instance, in B-Very Flat, the victim is a promising university student – a violin virtuosa. Once I worked out that she would be the victim, I thought about what she would be like. What might she care about? How might she respond to the world? Who might be her friends and family? And then, of course, who might want to kill her? As I worked on those questions, her personality started to develop. Eileen: How do you figure out what your characters look like? Is it important to know where they live, when they live, what educational level they have? If so, at what point in the novel development does this become important? Margot: I think it is important to imagine what a character looks like. Appearance can give a lot of information about a character, and having it in mind helps the writer to show-not-tell about the character. And there are times when it does matter a lot where a character lives, what that character’s educational background is, and so on. The reason is that all of those factors (appearance, background, economic situation, and many more factors) impact personality. Those things make us who we are. If a character is to be credible and interesting, that character has to be consistent, and that includes all of those factors. 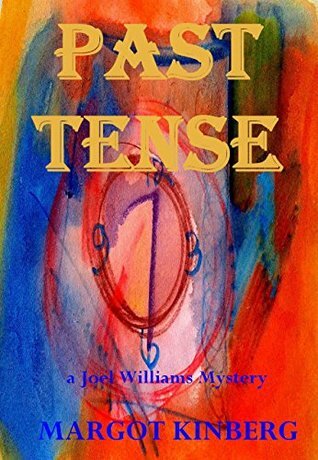 For instance, in Past Tense, book 3 of my Joel Williams series, one of my characters heads up a university Women’s Studies program. I thought about what she looked like (she’s of medium height with a straight dark bob). But mostly, I thought about the sort of person she is. Her background (a university education, a more working-class upbringing, a trauma in her past, and a few other things) have led her to be a feminist, so it made sense she’d lead up the Women’s Studies program. Her home (not far from the university) fits in with her character, too, and all of these factors combine (I hope) to give readers a sense of who this person is. Eileen: Do you develop one character at a time? That is, you know what type of character you have as your main protagonist and develop the others to build conflict and arc tension? Margot: I don’t really develop just one character at a time, to be honest. I do start with the victim in my story (as I say, I write crime fiction). But as I think about the people that person knows, I develop those characters as the story unfolds. For instance, B-Very Flat, book 2 of my Joel Williams series, follows the victim as she goes about her life. In that context, we meet the other characters with whom she interacts, and we get to know all of them as the story goes on. They don’t develop one at a time, if I can put it that way. Eileen: In your process, does the backstory and character conflict support the story, or do you create the story to support the backstory and character conflicts? Margot: For me (and other authors likely do this in other ways), backstory and character conflicts are integrally woven into the story. They support each other. It’s a bit like the nature/nurture debate, as I see it. The best story lines include characters and their backstories and conflicts. At the same time, the best-developed characters appear in stories that have solid and clear plots. I do like to tell stories, but those stories aren’t interesting without interesting characters. That’s probably not a direct and clear answer to your question, but it reflects my process. Eileen: Please use one of the series you’ve already written. Where do you get your inspiration for characters? Margot: The Joel Williams series takes place mostly in an academic setting. Williams is a former police detective-turned-professor, so he lives and works in a university community. I’ve spent almost my entire adult life on university campuses, first as a student, and then as an educator. So I’ve gotten to know a lot of the people who spend time on campuses (students, colleagues, administrators, custodians, staff people, and lots more). Those people have been quite an inspiration to me. That said, I do not use specific, real people as characters in my stories. My characters are completely fictional. I do tap my experience at different university settings, and what I know about the sorts of people in those settings, though. For instance, there are certain things that a university dean does (at least in US higher education). One of them is to administer a school’s budget. Another is appoint faculty to different special projects. I tapped some of what I know about the work of a dean for Downfall, in which a dean makes an appearance and is involved in a sub-plot of the story. Eileen: How do you choose the voice of a character? Margot: I start with the character’s background (gender identification, economic situation, age, and so on). Then, I work out the way that character would likely speak. I think it’s critical to match voice to character, so as to make that character more believable. To put it another way, the voice of the characters fall out naturally (or, I hope they do) from their particular lives and circumstances. Eileen: Why is dialogue so important in a good story? Margot: Oh, dialogue is essential! It’s the way in which characters share information with each other. Yes, there’s modern electronic communication, such as texting, email and so on. But we primarily show what we’re like through the way we speak with others. So, it’s important that the author pay attention to the way two characters interact. What this means (at least for me) is that dialogue offers the author a way to show-not-tell a lot. Dialogue lets an author show what the relationship is between two characters. 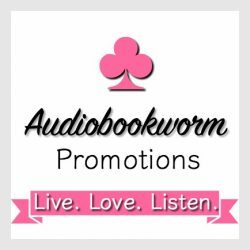 It also lets the author provide information like clues (for mysteries and other crime fiction), backstory information, and more. Eileen: How do you get across the tone used in dialogue since tone many times makes all the difference in the meaning? In that case, I wanted to show that Zuniga’s comment is intended as a joke. He’s not shocked, and he’s not being sarcastic or rude. That’s why I chose the verb ‘cracked,’ and why I chose the words, ‘sideling fake glare.’ To put all of this another way, I convey tone by embedding dialogue in contexts that clarify the tone. Eileen: How do you let the reader know your characters sound different? To me, it’s important to convey subtle differences in speech patterns without stereotyping or using clichés. Eileen: Do your characters swear? Margot: Some do, and some don’t. My main protagonist occasionally swears, but he doesn’t use the foulest words out there. The other characters I’ve created are all different, so they use profanity differently. Like other use of language, I think swearing (or not) has to do with personality, background, and a lot of different factors. So, the author can use it (if desired) to show what a character is like. Eileen: How is your character’s personality reflected in dialogue? This character happens to be ‘corporate-minded,’ although he’s not ruthlessly profit-driven. So, he uses ‘buzz words’ and certain phrases, and whenever he can, he promotes the program. And when the researchers press him a bit about the death of a student, he admits that it happened, but his focus is much more on image and the program’s public relations than it is on the actual humans involved. Eileen: How do you keep your dialogue from feeling stilted or contrived? Margot: As I see it, the most important thing to do when creating dialogue is to make it natural. Dialogue ought to have the rhythm and cadence that real speech does. And it ought to reflect the way real people talk to each other. Because of that, I think the best way to keep dialogue sounding natural is to pay close attention to the way real people speak. I don’t mean what people say on TV shows or films (that’s usually scripted, anyway), but in real life. I pay attention to speech patterns when I’m in a meeting, or shopping, or out to dinner, or… I’ve found that the more observant I am of the way people interact, the more realistic my dialogue often is. Eileen: How do you decide which POV to use in your story? Why favor one character’s POV over another? Are there certain criteria you use to decide whose POV should be used? Margot: For me, the key to choosing POV is what serves the story best. For example, a story that depends on the unreliable narrator might be best served by using first person. That way, the author can manipulate the reader, disguise other characters’ motives, and so on. On the other hand, when it’s a whodunit, the author might want third person POV, so as to show what different characters are thinking and doing. That’s what I’ve done in my novels. That said, though, three are advantages to keeping the focus on one character’s POV as opposed to others. For instance, it makes sense to keep the focus on the protagonist’s POV, whether it’s first or third person. That allows the reader to get to know the protagonist, and to be caught up in the story as the protagonist is. Eileen: What does close third person mean? Margot: Close third person follows one character, but in third person. There are many, many novels written that way, and there are good reasons to do so. Close third person means that the story is about one character’s experiences, relationships, and so on, so there’s plenty of opportunity for character development. There’s also the opportunity, in stories like whodunits, for the author to lead the reader up the ‘garden path’ if the character is misled by the villain, for instance. One disadvantage of close third person is that it doesn’t necessarily allow for quite as much character development among the other characters. That’s because they only appear as the main characters sees and interacts with them. This can be a bit restrictive if it’s not handled well. Eileen: I read lots of books written in third person. Some use one narrator and others use multiple. What advantages are there for a writer when writing third person multiple points of view versus third person with one POV? Margot: I find there are a lot of advantages in writing in third person with multiple POVs. That’s the way I write my novels. The main reason I do so is to give the reader a wider perspective on the story. I write murder mysteries, so that’s the main plot point of my work. Writing with multiple POVs (third person) allows me to share the way the murder and its investigation impact all of the characters. It also lets me set up certain characters as suspects. Another advantage of using multiple third person POVs is that it allows for including sub-plots. It’s not absolutely necessary, of course, but it is easier (at least for me) to create sub-plots if readers are following the point of view of more than one character. Eileen: If a writer uses multiple third-person POV, when can he shift to another narrator without confusing the reader? Margot: That’s an important question. Readers want, and deserve, to know whose point of view is being shared at any one time, and abrupt shifts in POV can be distracting. Writers who want to shift POV can do it effectively in a few ways. One way is by chapter. Chapters are natural ‘break points,’ and it can be effective to devote different chapters to different POVs. I’ve read more than one author’s work where that was done successfully. Eileen: In any of your published stories is the POV any other than the protagonist/s? Margot: That’s the way I do all of my stories. The protagonist in my series is a former police detective who’s now a professor of criminal justice. But his point of view (I use third person) isn’t at all the only point of view I share in my work. I also share the points of view of people he interacts with, suspects, and sometimes just witnesses. For me, sharing multiple points of view allows the reader the chance to get a broader view of the story as it develops. It’s also helpful in building conflict and tension. I also use multiple POVs to all for some sub-plots in my work – things that my protagonist wouldn’t necessarily know. Eileen: Are there limitations to a story when it is told in first person? Margot: There are some limitations. For one thing, it’s harder to share information with readers. If the protagonist doesn’t know something, then the reader can’t know it. It’s also more challenging to do character development with other characters. If they don’t show sides of themselves to the protagonist (or the protagonist doesn’t find out those sides), then readers don’t learn about those other characters as fully as they do when those characters’ POVs are shared. That said, first person POV can give a real sense of immediacy to a story. Some people argue that it can also invite the reader into the story. That’s what happens, for instance, when someone you know tells you about something that’s happened. You follow along with the storyteller. Eileen: You have really covered lots of information in this interview. I’m also pleased your writing is in crime fiction. By the way, your books covers are fabulous. Most definitely, the Joel Williams series intrigues me. Margot: Thanks again for hosting me, Eileen! 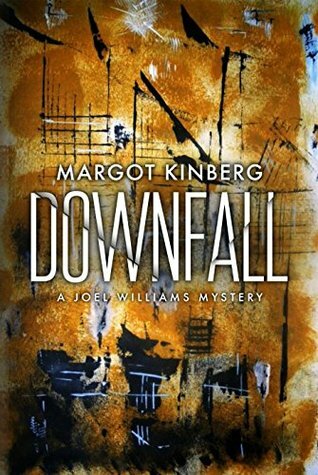 This entry was posted in Interviewing authors, Mystery, Novel Development, On Becoming a Writer and tagged B-Very Flat, Downfall, In a Word: Murder, Margot Kinberg, Past Tense, Publish or Perish. Bookmark the permalink. Thanks so much for hosting me, Eileen 🙂 – It’s been a privilege! Thanks, Jane – so much – for your kind comments. You’re right that buses, trains, supermarkets, parks, banking machines, and those other ‘normal’ places are perfect for getting a sense of the way real people use real language. And, at least for me, that subtle use of language to distinguish characters can show-not-tell what a character is like.